Some Writer! For all lovers of Charlotte’s Web! This summer while babysitting three of my adorable grandsons, I read the oldest grandson Charlotte’s Web for the first time. He is a bright little guy for 7 years old, who loves S tar Wars (he practically has all the movies memorized), action figures, Cars, Planes (both movies) and generally boyish stuff. I had some reservations as to how much he would enjoy the story of Fern, Wilber, and Charlotte, (there being no Jedi Warriors, Luke Skywalkers, or battles with light sabers). What will he think of this old-fashioned tale of barnyard animals, tender affection and lasting friendship? I needn’t have worried. Even for a tiny 7 year-old Jedi warrior, this classic still strikes a chord. It was a joy to see him (not much of a cuddler) cuddle close and listen attentively to this sweet story. He asked all the right questions and we had a special connection for those precious few days. It is a memory I’ll treasure and I trust he will too. So it was with delight that I heard about the publication today of Some Writer: The Story of E.B. White by Melissa Sweet. You can hear the full broadcast here and I think you’ll find the collage illustrations enticing and enchanting! I’m so happy that E.B. White is getting some well-deserved attention. 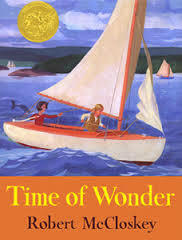 The enduring nature of Charlotte’s Web, Stuart Little, and The Trumpet of the Swan and his contributions to other children’s writers make this a wonderful homage to a writer who should have won a Newbery Medal. The year Charlotte’s Web was published it lost the Newbery Medal to The Secret of the Andes by Ann Nolan Clark–a book seldom read today. 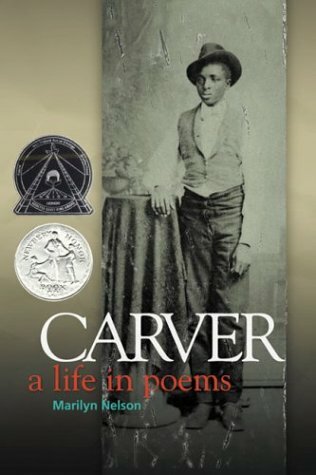 (It did garner a Newbery Honor). In The New York Times, Eudora Welty wrote of Charlotte’s Web, “As a piece of work it is just about perfect, and just about magical in the way it is done”. And the astounding sales (78 million copies) and the book’s translation into 23 languages proves that simple, tender, and old-fashioned stories can still capture the heart of a boy–even a Jedi warrior. E.B. White wrote everything on a manual typewriter. Melissa Sweet typed up all White’s poems on a manual typewrite to include them as parts of the illustrations. One of the topics of discussion during our soirée the Saturday before last was the way in which the dystopias of today–The Hunger Games, the Divergent trilogy etc., present disturbing scenes of violen ce between children. While violence against children has always been a component of fairy tales, fantasy, science fiction etc., what the astute Samantha Riddering pointed out was the way in which that violence has traditionally been perpetrated by the evil adult antagonist. Obviously, sometimes that antagonist was a monster, a dragon, an ogre, a wicked stepmother, or an evil Sméagol. From fairy tales like Little Red Riding Hood, to sophisticated Pulitzer-prize winning fictions like To Kill a Mockingbird, violence against children is presented as the work of evil personified–the Big Bad Wolf to Bob Ewell respectively. The difference in some of today’s young adult dystopias is how often the ogres perpetrating evil against children are the children themselves. 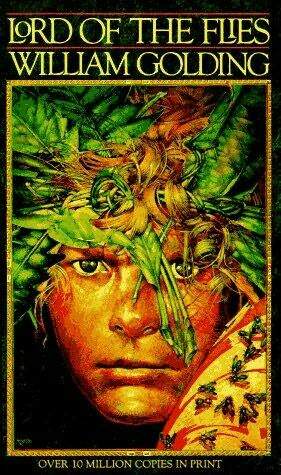 While these dystopias are the literary grandchildren of William Golding’s–The Lord of the Flies–the groundbreaking novel that first featured this disturbing literary trope, the nature of Golding’s brutal images did not popularize it to a youthful audience. In the US it only sold a few thousand copies before going out of print. Today it is mandatory reading in high school. Unlike The Lord of the Flies, the trilogies of Divergent and Hunger Games, replete with graphic violence between children are wildly popular with young readers who seem inured to a level of violence that seems extreme. Additionally layering the complexity of child-to-child violence is that the teen protagonists become hardened and highly skilled warriors perpetrating acts of war at a young age. Sometimes these actions involve gut-wrenching cruelty like the Divergent character Peter plunging a knife into Edward’s eye while he’s asleep. Though youth becoming skilled warriors isn’t new in children’s lit–Frodo and Sam Gamgee are young hobbits when they fight the evil forces of Mordor, and Peter and Edmund become warriors in Narnia–again, what is new is war between rival youth. Perhaps the real-life counterpart is gang warfare, which would beg the question of how books like the trilogies mentioned may contribute to an already violent gang culture. Oh, but gang members don’t read, so not to worry. I think it’s interesting to note that the film scene of Peter’s nocturnal knifing of Edward was cut from the movie. Director Neil Burger denied that the scene was cut because it was too graphic, but rather because it “disrupted the flow of the story.” Hmmm. Gratuitous perhaps? As I was finishing writing this my daughter Rebecca posted a wonderful blog entry on the “Loveliness of Reading Aloud” which I think you’ll enjoy. She links in her article to another by Meghan Cox Gurdon which may further inspire the effort it takes to develop this practice in your home. Gurdon is the children’s literature critic for the Wall Street Journal and as a mother of 5 has her finger firmly on the pulse of the kinds of books most parents want their children to enjoy. For parents reading this that have YA readers, I think you’ll find her article on this genre enlightening. For those that attended the soirée who might have thoughts they didn’t share that day or any others who would just like to comment on this topic, please feel free to do so below. What are the thoughts ruminating around in your mind when you confront the issues of violence in children’s lit today? Let’s continue this discussion! In the meantime I’ll close with this beautiful quote from Tolkien on the function of fairy-tale as it reminds us of the limitless power of the well-crafted tale to cultivate the best in the human heart. The eucatastrophic tale [one with a happy ending] is the true form of fairy-tale, and its highest function. The consolation of fairy-stories, the joy of the happy ending: or more correctly of the good catastrophe, the sudden joyous “turn” (for there is no true end to any fairy-tale: this joy, which is one of the things which fairy-stories can produce supremely well, is not essentially “escapist”, nor “fugitive.” In its fairy-tale–or otherworld–setting, it is a sudden and miraculous grace: never to be counted on to recur. It does not deny the existence of dyscatastrophe, or sorrow or: the possibility of these is necessary to the joy of deliverance; it denies (in the face of much evidence, if you will) universal final defeat and in so far is evangelium, giving a fleeting glimpse of Joy, Joy beyond the walls of the world, poignant as grief. –Tolkien, Tree and Leaf (68-69). Just a little over six weeks from now, June 12-14, the Great Homeschool Convention returns to California for three days of wonderful workshops, keynote speakers, and tantalizing curriculum exhibits! At Beautiful Feet Books, we look forward to connecting with you either at one of the three sessions I’ll be presenting, or at our BFB booth. One of the topics I will be speaking on is: Classic Literature for Character Building (or Character Through Literature), so I wanted to take a moment to give a brief overview of what my session will cover as you make plans for your GHC weekend! Over thirty years of reading aloud to my children has convinced me, more than ever, of the profound life-changing, life-equipping, and soul-nourishing importance of great books. 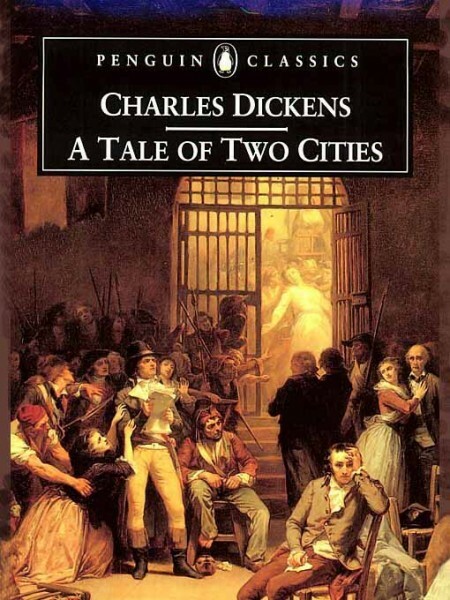 Recently I began reading Charles Dickens’s A Tale of Two Cities to my youngest daughter, aged 14. She was fairly ambivalent as we began, particularly because the 19th century English verbiage is challenging, to say the least. Not being familiar with Dickens can stop even an avid reader from wanting to continue what can be a truly challenging endeavor. Fortunately for me, an older adult son happened to be visiting at the time and remarked that A Tale of Two Cities was his favorite book in high school. He even remembered writing his own Tale of Two Cities based upon Dickens’s great work. Haply, that helped cinch the deal, and we continue pursuing this remarkable novel knowing that the unforgettable characters that Dickens created in this work–the cruel Madame Defarge, the noble Charles Darnay, and the ultimately self-sacrificing Sydney Carton, will impact our hearts long after we close the final pages of this book. As Lewis notes in the quote above, we can either choose to live cynical unimaginative lives, or we can, through our imaginative powers walk vicariously in the shoes of another, and through that identification, ultimately determine what kind of people we want to be. Will we make noble, self-sacrificing choices like Darnay and Carton, or will we be unforgiving and vengeful as the cruel Madame Defarge? In small ways, we have an opportunity to make these choices each day. The best books inspire us, not by preaching lofty sermons, or by moralizing lectures, but by drawing us into stories that resonate with the human desire to love and be loved, and by our longing to live for something bigger and better than ourselves. In the novel Don Quixote, Cervantes states through his main protagonist that the ” . . . ultimate end of writing is both to instruct and delight” (476).1 Since Cervantes is credited with the invention of the modern novel, perhaps his perspective is one we should take to heart. Regarding the notion of “instruction” of course, as parents we get that, that is a given. In our parental role we are forever looking for resources to educate, inform, and instruct our children. 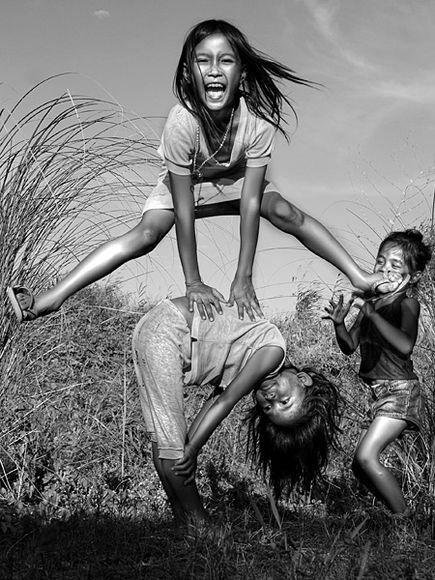 But how often in that pursuit, do we neglect the notion of delight? When we make choices of literature, do we adequately factor in the importance of delight as an essential medium of the most important kind of learning? Consider how often Jesus used stories to teach moral lessons. His stories were never dry, dull, or boring. Rather they captured his listeners by their pure simplicity, their inherent truth and their clear applicability to everyone’s lives. All great literature has these same inherent qualities, from the simplest children’s book like Make Way for Ducklings to sophisticated novels like Pride and Prejudice. In June I’ll be presenting the essential elements that make books delightful, and how stories have the power to truly mold ourselves and our children into the kind of characters we want to be in this great drama called life–written and directed by the master storyteller Himself. I hope to see you in June at the Great Homeschool Convention! In Part IV of our series BFB Fundamentals, we are exploring the question of whether or not Beautiful Feet Books is classical in nature. As we noted in the previous post, until the definition of classical is clarified, the question can become one of semantics and may lead to simplistic conclusions. Because classical is currently the homeschool paradigm de jour, examining some of its well-accepted tenets should prove helpful as you determine which path is right for you and the students you serve. What does contemporary classical homeschooling mean? Classical education as a home schooling model first became popular as the 20th century gave way to the 21st and has remained so since. For those of us who began home schooling in the 1980s, classical education was the new kid on the block. As with any fad, it swept many in its wake and provided some folks with solutions to the failing standards they saw in public education as well as in the more relaxed homeschooling model. Its emphasis on a rigorous academic approach seemed to guarantee the creation of scholars who would take positions of leadership in law, medicine, government and so forth. This would be achieved through implementing the trivium as we noted in our previous post. Early Greek educators did not view education as the process of three distinct stages; as soon as students could read and write they were reading the classic Greek texts. Modern classical proponents ascribe to the notion that learning takes place in three distinct 4-year phases of a student’s life. While these phases may seem to correlate to the physical and intellectual development of the child, the bland acceptance of them can prove problematic. In the grammar stage of the classical approach (also known as the poll-parrot stage), emphasis is placed on pouring into the student facts (indeed “masses of information”-as one promoter put it) as children are supposedly sponges ready and willing to soak up facts of every kind, and can easily memorize these facts. Theoretically, later on, in the logic stage, these facts will be drawn upon as the child begins to reason. While this approach fits some students well, especially those gifted in memorization, other students, particularly those not gifted with the ability to retain masses of disparate facts, flounder. The focus on pouring information into a young child is based on the notion that in the grammar stage children will unquestioningly accept what is offered. But is this 4-year cycle based upon a truly classical approach to education? 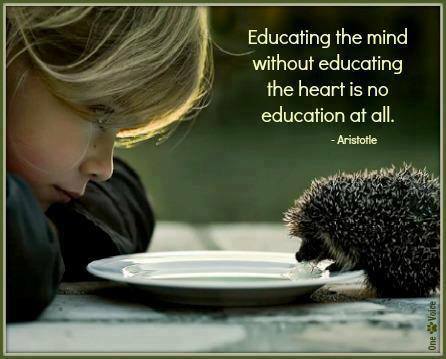 Did the ancients view education through this 12-year paradigm to which modern classical proponents ascribe? As Diane Lockman points out in her helpful article “Classical Education Made Easier“, the ancient Greeks did not separate the grammar, logic, and rhetoric stages. Students became proficient in reading, reasoning and speaking as they studied the classic texts of Greek literature with an emphasis on copy work and reading and reciting aloud. An authentic classical Christian education, as developed during the ancient Greco-Roman world and later refined by the Western Europeans and American colonists, involved mastering three fundamental skills so that the student could then explore the deeper meaning of abstract ideas for the purpose of influencing society. Three chronological stages were never part of the original interpretation. The Charlotte Mason approach asserts that all children, regardless of age, are capable of reason, delight, appreciation of beauty, and that “Education should aim at giving knowledge touched with emotion” (For the Children’s Sake). Pouring information into a child for the mere goal of “filling the brain with facts” defies the essential nature of classical education–the desire to teach children to think. True education cannot ignore the spirit of the child, his basic need to feel connected in some way to the studies at hand. At Beautiful Feet we believe this is done through literature’s emotional connection–the ability to identify with others through the power of stories of literary beauty and historical import. 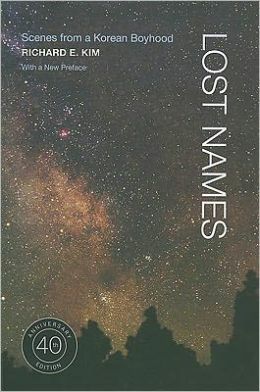 A quick narrative read of historical facts (standard fare in most classical approaches) that offers no literary beauty and no connection to the great questions of the human condition, fails to meet the standards of a truly classical education. Begin at the beginning: the four-year cycle of history study? Additionally, the current classical notion that history studies must begin at the beginning (with ancient history in first grade) is another layer of artificial construction upon an already artificial 12-year model. Classical education’s promotion of a four-year cycle of history instruction seems reasonable and the repetition (“what we don’t get the first time around, we’ll be sure to pick up next time!”) provides reassurance. While the four-year cycle approach does provide that revisiting, it doesn’t consider the question of age and developmental appropriateness for subject matter. This concern is dismissed by promoting the notion that while studying ancient history with your first grader, one can just focus on mummification, gladiators, and chariot races; in effect this belies the basic notion that ancient history can be taught to a first grader. The resultant “classical” studies are cultural in nature, not historical. Indeed, Oxford Reference defines history as “the study of past events, particularly in human affairs”–the study of history necessitates the focus on events. History, taught classically . . . So how does one approach historical studies with a truly classical view to nurturing in young students reading, reasoning, and speaking skills? In essence, this can be accomplished in much the same way as the ancient Greeks did it–by exposing children to the best age-appropriate literature which is relevant to their times and culture. For a young American child this means the best children’s books on the early saga of America’s great story, much as the Greeks read Homer and studied Plato–the stories of their ancestors, the history of their nation. A child gifted with the knowledge and appreciation of his own historical heritage better understands his or her place in the world and from that foundation can embrace the beauty and the heritage of other nations and cultures. So, how does this answer our question, “Is Beautiful Feet Books classical?” If one looks at some contemporary notions of classical, then the answer would be, “No.” On the other hand, if one perceives classical as incorporating Socratic reasoning and discussion, engaging with timeless literature (age appropriate), eschewing the use of textbooks and bland narrative works, and involving students in the Great Conversation about the important issues of the human heart, then yes, Beautiful Feet Books is classical.